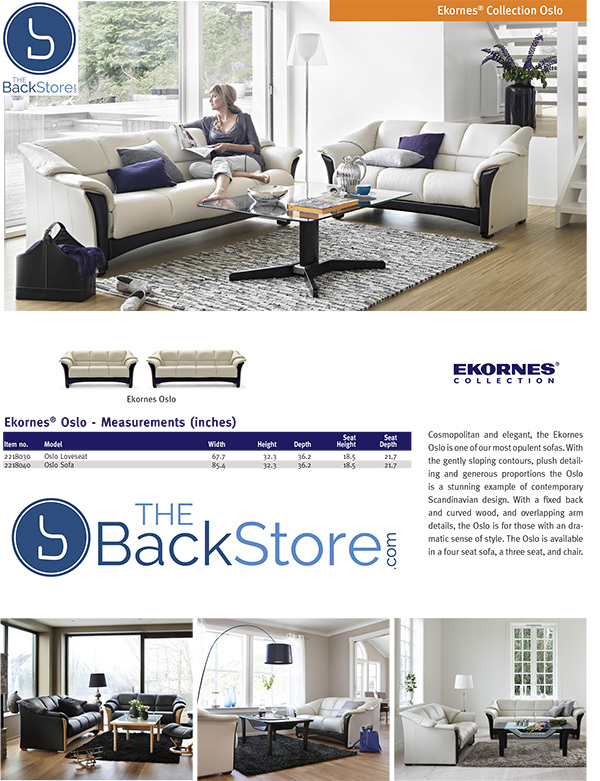 Ekornes Oslo Sofa, LoveSeat, Chair and Sectional - Ekornes Oslo Sofas, Stressless Chair, Stressless Sofas and other Ergonomic Furniture. 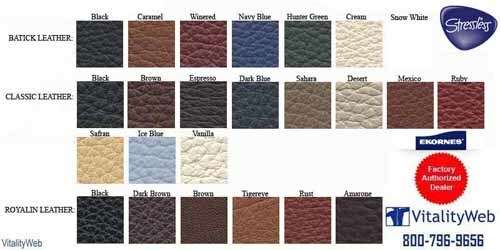 Paloma Special Colors: Black, Chocolate, Sand, Silver Grey, Light Grey and Sparrow Blue. In-Home Delivery and Setup is Included on Select New Stressless Chair to California Customers. 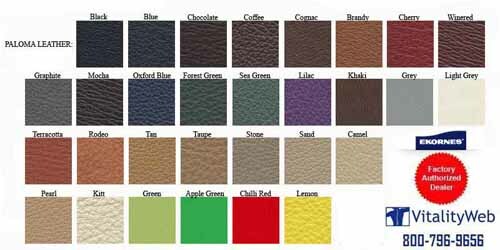 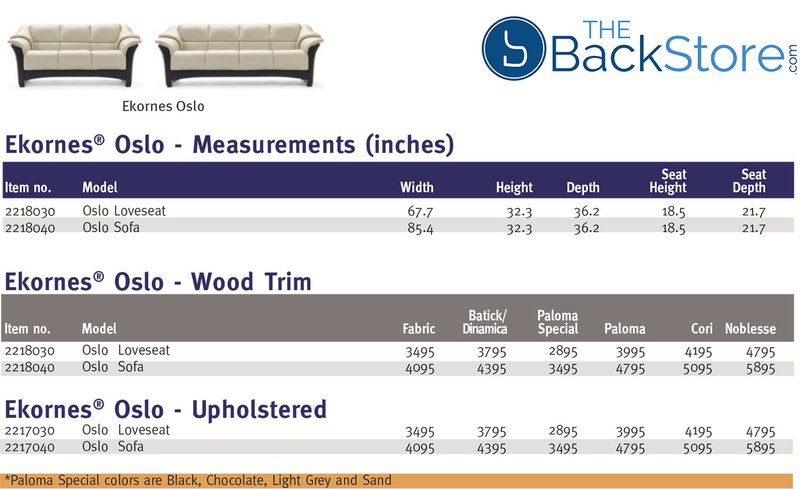 C2 W: 82.3" C3 W:101.3"
Ekornes® Oslo comes with the option of wood trim or a padded leather front. These options allow you to complement your room with other furniture that has a similar look or style. 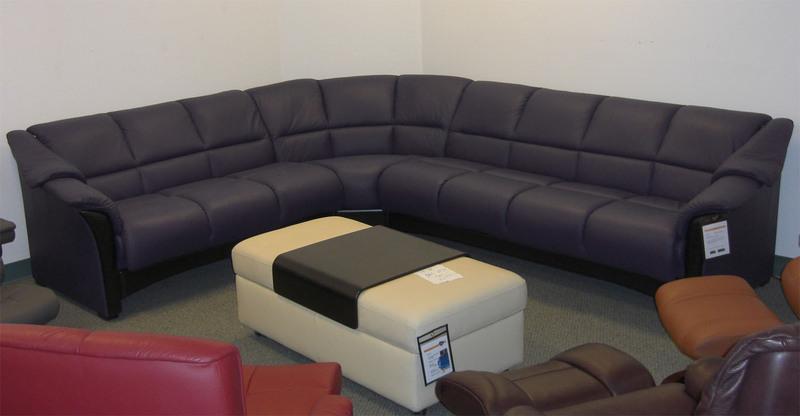 Matching Stressless Products for this Sofa Group: Tampa, Reno and Vegas Recliners.